Carrotwoods (Cupaniopsis anacardioides) are named for their bright orange wood concealed under a layer of bark. These attractive little trees fit into almost any size landscape, but are carrotwood tree roots invasive? 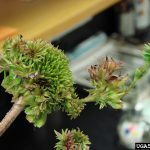 Find out about the invasive potential of these trees as well as how to grow them in this article. 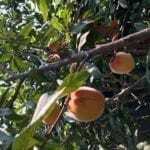 What is a carrotwood tree? Growing only 30 to 40 feet tall with a spread of twenty to thirty feet, carrotwoods are decorative little trees with a lot of potential in the home landscape. Many small trees are a disaster around patios and decks because they drop litter in the form of leaves, flowers and fruit, but carrotwoods are neat trees that don’t require constant cleanup. Their leathery, evergreen leaves create year-round interest. That being said, in warm, moist climates such as those found in Hawaii and Florida, carrotwood trees can become an ecological disaster. They readily escape cultivation and take root in unwanted places. They don’t have the natural controls that are present in their native Australia and New Guinea regions, so they spread to crowd out native species. Before planting a carrotwood tree, consult your local Cooperative Extension agent about the tree’s invasive potential in your area. 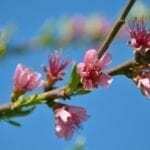 Plant carrotwood trees in a sunny location with average, moderately moist soil. Dig a hole as deep as the root ball and twice as wide. 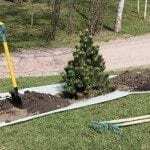 Set the tree in the hole and backfill with the soil you removed from the hole. It’s a good idea to fill the hole with water when it’s half full of soil to allow any air pockets to settle, and then continue to backfill until the soil in the hole is level with the surrounding soil. Don’t mound the excess soil around the base of the tree. Once the hole is full, press down gently with your foot. This lovely little tree looks light and airy and makes a well-behaved street tree. It’s right at home growing in the lawn as a specimen or providing light shade for a patio. Slow growth and limited size means that it won’t take over small yards. The tree is undemanding, and nothing could be easier than carrotwood tree care. Newly planted trees need weekly watering in the absence of rain until they become established. Once they are growing on their own, they only need water during prolonged drought. They don’t usually need fertilizer, but if you feel that your tree isn’t growing as it should, sprinkle a little complete and balanced fertilizer around the root zone. You can grow a carrotwood tree as a single-trunked specimen or with multiple trunks. More trunks means a wider spread, so allow room for it to grow. Creating a single-trunked tree is simply a matter of removing unwanted stems. Read more articles about Carrotwood.